I usually bake by myself. It’s a way to relax and take my mind off things. I love to wake up in the morning and bake something sweet so that the day starts off just a bit sweeter than not baking at all. However, it is also fun baking with other people who enjoy baking too. I had just discovered that my old friend, T-, loves to bake too. I finally found a baking buddy! 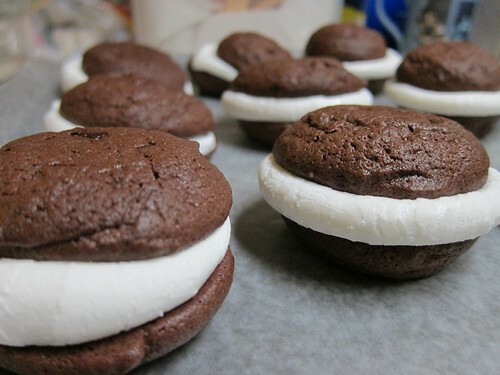 This entry was posted in Cookies, Recipes and tagged baking, chocolate, cocoa powder, desserts, marshmallows, recipes, whoopie pies on September 6, 2011 by Krystal. 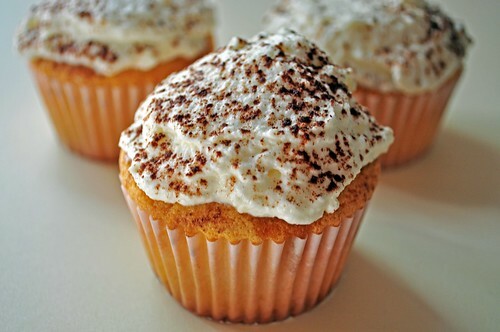 Tiramisu has grown to be one of my favorite desserts. It’s quite funny actually. I am not a big fan of coffee, but yet I love the smell of it. Every time I walk into a coffee shop, I just sniff away. Although, I’m not so fond of the smell lingering on the clothes after hanging out in the shop for a couple hours. Anyway, for as long as I can remember, I have enjoyed coffee cake, coffee candies, and now, tiramisu! After seeing this cupcake recipe online, I knew I had to try it. My family loves tiramisu as well and I wanted to broaden my baking skills. This recipe was perfect because it’s a little more complex, but still simple enough to follow. This entry was posted in Cupcakes, Recipes and tagged baking, cakes, cocoa powder, cupcakes, mascarpone, recipes, tiramisu on February 28, 2011 by Krystal. I used to not like baking at night, just because I would hate to wash the dishes when I feel like just resting and watch a good movie. Now that I have made quite a few baked goods for work, where I had to make them in the evening, it’s not so bad. I’m just a little tired in the morning, but it can be done! I still prefer baking in the day so that I can much better pictures. What’s your preference? 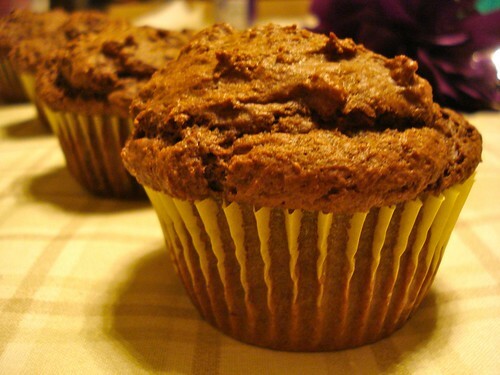 Baking in the morning or the evening? 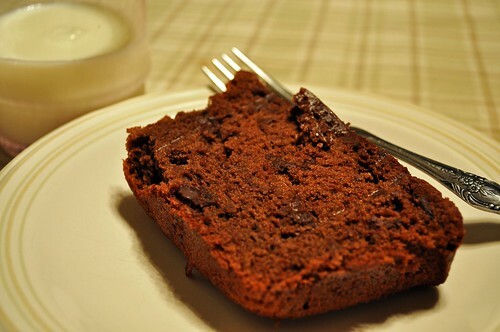 This entry was posted in Bread, Recipes and tagged baking, bananas, bread, breakfast, buttermilk, chocolate, cocoa powder, food, recipes on December 9, 2010 by Krystal. I wanted to make these muffins for my first trip to Chicago for Thanksgiving, but I can’t take food on the airplane, so I just settled for having them for breakfast before my trip. I was half expecting them to taste really sweet, like the chocolate muffins you get at Costco. I was very wrong. It was a more subtle taste of chocolate and the surprise of chocolate chunks on the inside. I kind of wished I used more chocolate chunks, because the burst of chocolate is a wonderful thing. This entry was posted in Muffins, Recipes and tagged baking, breakfast, buttermilk, chocolate, cocoa powder, food, muffins, recipes on November 29, 2010 by Krystal.